I Was Diagnosed with a Lung Nodule: Now What? For those with recurrent respiratory issues and screenings, a lung nodule diagnosis, or notification that a doctor would like to evaluate the possibility of lung cancer is possible. So if faced with this type of news, what should you do? How should you react? And what are the best steps to take to prepare? Traditionally, it seemed to make sense to do a routine chest x-ray to screen smokers for lung cancer. But this practice has been abandoned for several reasons. First, it has not been effective. Studies have shown that yearly chest x-rays in smokers have not reduced mortality from lung cancer. Secondly, many false alarms due to “abnormal findings” lead to unnecessary procedures. Based on these observations, the U.S. Preventive Services Task Force (USPSTF) recommended against routine chest x-ray screening in smokers. With the advent of CT scanners, it was possible to discover nodules as small as 1 millimeter. CT scans also became more affordable over time as people began to have full body CT scans, which often identified nodules in these asymptomatic individuals. Clearly it was important to decide then if these were benign granulomas (scars), the result of an infection, or an active lesion that needed further investigation or a biopsy. PET scans were the next new screening technique which helped to identify whether the nodule was hypermetabolic or “active,” which would indicate the need for a biopsy. Getting a biopsere are some common respiratory procedures that were used by specialists to help form a diagnosis. ** Bronchoscopy** - A flexible fiber-optic tube is inserted through the patient’s nose and down inside the lung airways. When the spot is reached, as viewed by an x -ay machine, a wire is inserted through the bronchoscope and a piece of tissue is gently cut and removed. A pulmonologist performs the bronchoscopy. Needle biopsy – Performed by a radiologist, who uses a CT scan to identify the lesion location, a needle is inserted from outside the chest and an aspiration of the nodule is obtained. Open lung biopsy – Performed by a surgeon under general anesthesia, an incision is made and lung tissue is obtained. Mediastinoscopy – Performed by a chest surgeon, the patient is placed under general anesthesia. An incision is made and a rigid tube is inserted above the clavicle through the space between both lungs (mediastinum) to obtain biopsies of lymph nodes to see if the identified tumor has spread. Unfortunately, the number of possible procesudres meant there were too many options options with little guidance. This left too many patients exposed to tests, consultations and invasive procedures. In addition, there was no real scientific method to guide the selection of patients who would actually benefit from these investigations. Enter, the National Lung Cancer Screening Trial (2013)This study resulted in step-by-step guidelines on how to assess patients diagnosed with a nodule. The study involved 50,000 men and women between the ages of 54 and 73 who were either smokers, or quit smoking in the prior fifteen years. There were 33 centers involved in the study and subjects were followed for over six years. Researchers compared those screened with CT scans with those chosen to have a chest x-ray. The study revealed that indeed subjects who received a CT scan had improved mortality outcomes compared to individuals screened with chest x-rays. This research led the USPSTF guidelines to be updated and screening past and current smokers with CT scans was the new standard. The research also helped to develop a new formula for assessing the probability of a nodule being cancerous. New guidelines were also now published by the American College of Chest Physicians in 2013. The guidelines were much more intricate and helped to distinguish between inflammation or infection and whether spread to lymph nodes was involved. The new “decision tree” also helped to indicate if a repeat screening CT scan was appropriate or whether further evaluation steps were indicated. Faced with all these techniques that were now able to find all kinds of nodules, if a nodule was found to be cancerous did that immediately mean serious surgery and treatment?. Surprisingly, the answer is no. Some cancers that in the past had been treated quite aggressively were now found to require observation only, because they are quite slow growing. Adenocarcinoma (originally called bronchoalveolar carcinoma) is one of those lung cancers. Interventional bronchoscopy, a relatively new field, allows a chest physician to biopsy lymph nodes deep in the chest with a less invasive technique. The patient does not need to be under general anesthesia. The EBUS technique uses ultrasound guidance during a bronchoscopy to biopsy lymph nodes. If you do smoke, then quitting is a first step in avoiding the risk of developing a nodule that has a high risk of being cancerous. CT scans should be justified by history or symptoms. 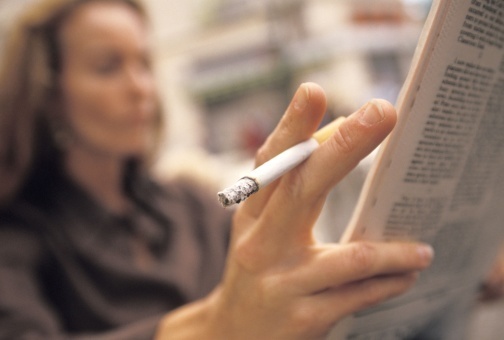 If you do smoke or have a strong past history, you may want to discuss screening tests with your doctor. If the nodule is identified as a possible cancerous tumor, your doctor should discuss next steps based on the updated guidelines. Is the Hookah a Gateway to Cigarettes? Is Snus Safer than Traditional Tobacco? Eli Hendel, M.D. is a board-certified Internist and pulmonary specialist with board certification in Sleep Medicine. He is an Assistant Clinical Professor of Medicine at Keck-University of Southern California School of Medicine, Qualified Medical Examiner for the State of California Department of Industrial Relations, and Director of Intensive Care Services at Glendale Memorial Hospital. His areas of expertise in private practice include asthma, COPD, sleep disorders, obstructive sleep apnea, and occupational lung diseases. Eli Hendel, M.D., is a board-certified internist/pulmonary specialist with board certification in Sleep Medicine. An Assistant Clinical Professor of Medicine at Keck-University of Southern California School of Medicine, and Qualified Medical Examiner for the State of California Department of Industrial Relations, his areas include asthma, COPD, sleep disorders, obstructive sleep apnea, and occupational lung diseases. Favorite hobby? Playing jazz music.